The idea of reduccion was widely spread during the Spanish Colonial Period. This was one of the systems used to spread Catholicism to the remote areas of Bulacan. Reduccion or reduction of population was practiced in the largely populated areas particularly in Meycauayan, Bulacan and San Jose, Centro Da Baloges. In March 1750, a decree from the Archbishop of Manila on the creation of new municipalities was announced in Lagulo Church in Meycauayan. The decree included the list of families who volunteered to be relocated. Where previously the only occupants were Itas and Dumagats, San Jose del Monte (SJDM) became a municipality as a result of reduccion from Meycauayan. These families brought with them rice, wine, nganga and salt from Lagulo (now Malhacan) in exchange for the wild pigs, deer, yantok and almasigan of the Itas and Dumagats. Solares, including intended lots for main roads, were peacefully distributed to the new occupants after being measured and surveyed. The municipality of SJDM was founded on March 2, 1752. The population, not exceeding 200 people, belonged to the family of farmers and stonecutters of Libtong and Meycauayan. They lived a simple lifestyle and raised fish, root crops, vegetables, fruits and other natural products. Under the American regime in 1901, SJDM, being less progressive, weak and lacking in peace and order was placed under the political supervision of Sta. Maria, Bulacan. Under American dispensation in 1918, the town became an independent Municipality with Honorable Ciriaco Gallardo as the first Municipal Mayor. The Japanese Imperial Army took over the local government of San Jose del Monte from 1942-1943. In resistance, the municipality formed its own guerrilla unit. SJDM experienced many casualties when the Americans bombed the Poblacion on January 11, 1945 and again on January 14, 1945. The Municipal Building was burned by dissidents on October 10, 1950. The year 1961 marked the opening of the first Government Resettlement Project, the Sapang Palay Resettlement Area, covering 752 hectares. In January 25, 1978, nine barangays were created under P.D. 1921. With the passage of the new local government code in 1991 came the reformulation of equal wealth sharing between the national and local units and the realization of the residents of having their own barangays. This move led to the creation of an additional 41 barangays under Provincial Ordinance promulgated by RA 337 in December 1991. With the advent of the new millennium, SJDM’s population registered a staggering 315,807. It continues to grow as private subdivisions mushroom in strategic areas of the Municipality. On September 10, 2000, SJDM was proclaimed as a Component City under Republic Act No. 8797. It is said to be the largest town in the whole province of Bulacan in terms of land area and population. Also known as the “Balcony of the Metropolis”, it is the first City in the province of Bulacan and recorded as the 86th City of the Philippines. On December 18, 2003, the City of San Jose became the 1st Lone Congressional District in Bulacan. In August 2007, the city’s population numbered to 439,090 based on the National Census conducted by the NSO. The City of San Jose del Monte (SJDM) comprises 59 barangays and encompasses a total land area of 10,553 hectares (based on data from the Land Management Bureau). The Local Government Unit (LGU), however, claims an actual territorial area of 31,294 hectares which include disputed land areas with adjacent municipalities. Based on the National Statistics Office Survey, SJDM registered a population of 315,807 in 2000. Located at the northeast periphery of Metro Manila, the City is bounded by the Bulacan municipalities of Marilao and Santa Maria on the west, and Norzagaray on the north. Quezon province lies to its east, Rizal Province to its southeast and Kalookan City to its south. Quirino Highway serves as the main road which allows SJDM access to Norzagaray on the north and Kalookan City on the south. The City is likewise accessible from Santa Maria on its west via the Santa Maria-Tungkong Mangga Provincial Road. SJDM was proclaimed the first City of Bulacan on 10 September 2000. In the Provincial Physical Framework Plan for 1998 to 2007, about one third of the City is proposed as an Urban Expansion Area. This same area lies along the Norzagaray-SJDM Growth Corridor, one of the three growth corridors proposed for the province of Bulacan. Major agricultural crops are leafy vegetables, root crops, cassava, pineapple, mango and coffee beans. The major income earner of the city is large- and small-scale swine production. There are 60 commercial livestock and poultry farms in the city. The city has 3 major business located in Tunkong Mangga, Muzon and Sampol Market. They are into wholesale and retail trade. Major industries in the city include iron and marble works, furniture, handicrafts, food processing, housing, etc. VS Orchidarium – a 5 hectares garden where hundreds of orchid species can be found, located at Barangay Sto. Cristo. Pineapple Farm – the sweet pineapples are planted here, located at Barangay Tungkong Mangga. Cattle Creek Golf and Country Club – Favorite recreational area of some executives and businessmen, located in Barangay Sapang Palay Proper. 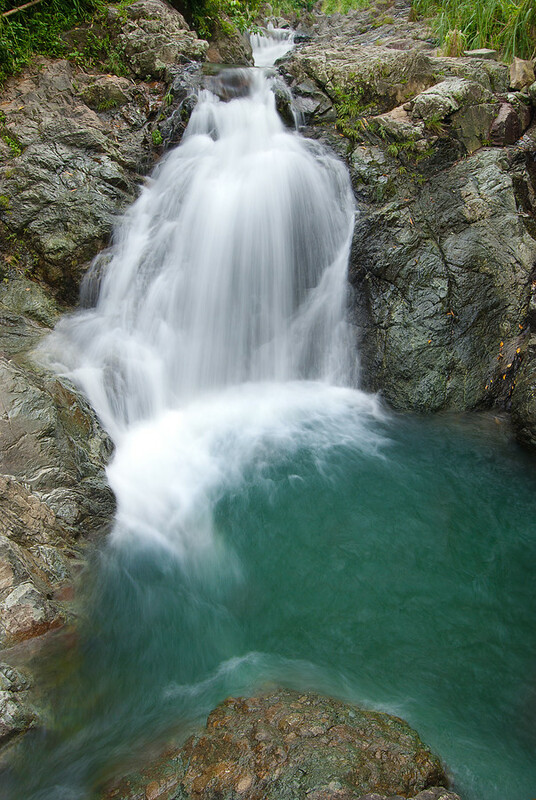 Kaytitinga Falls – an esteemed attraction of the city which can be found in the elevated Barangay of San Isidro. Marina Fishing Resort – a 5 hectares man-made lake located at Barangay sapang Palay Proper. Mt. Balagbag Trekking/Camping Site – an added attraction also comes in view in the beautiful Mt. Balagbag where you can see a breathtaking Manila skyline.